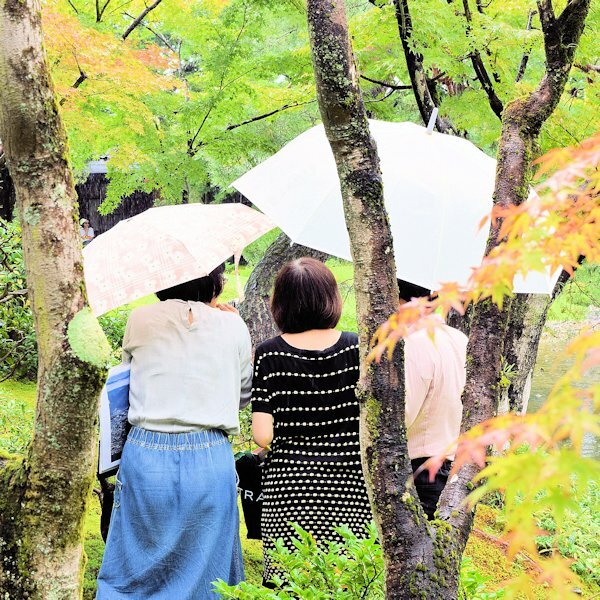 On the afternoon of October 6 (Sat. 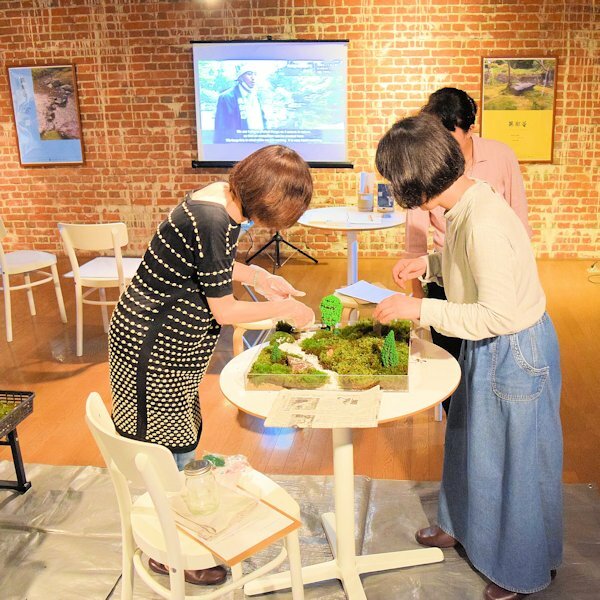 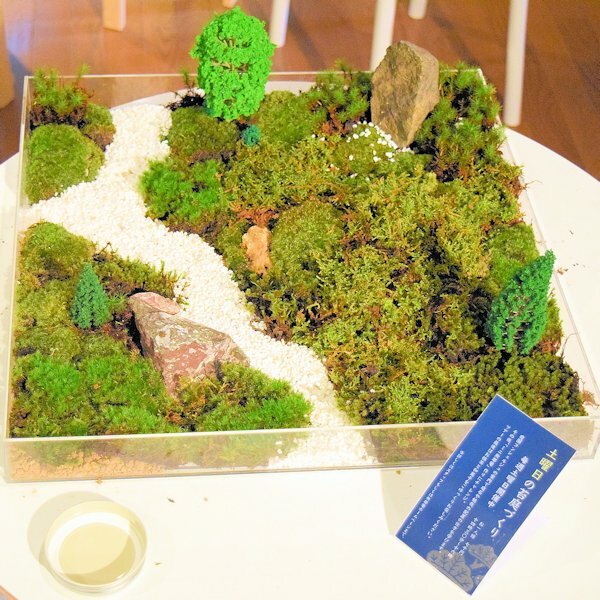 ), we held a moss garden making event. 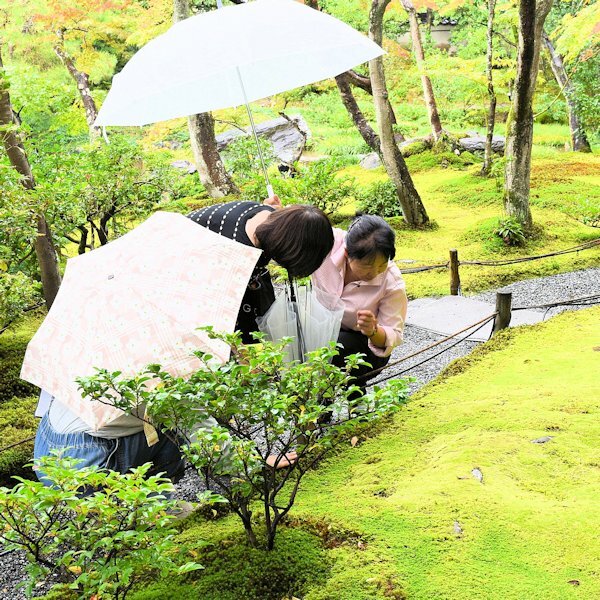 As they toured the moss garden, participants eagerly asked our guide about the different varieties of moss they were looking at and touching. 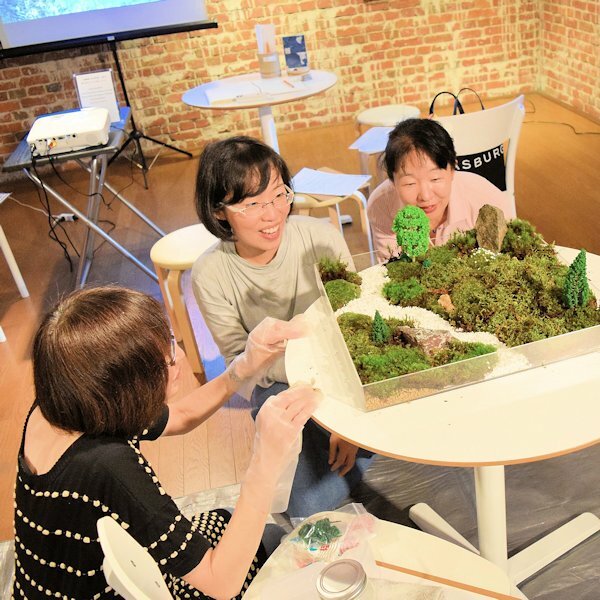 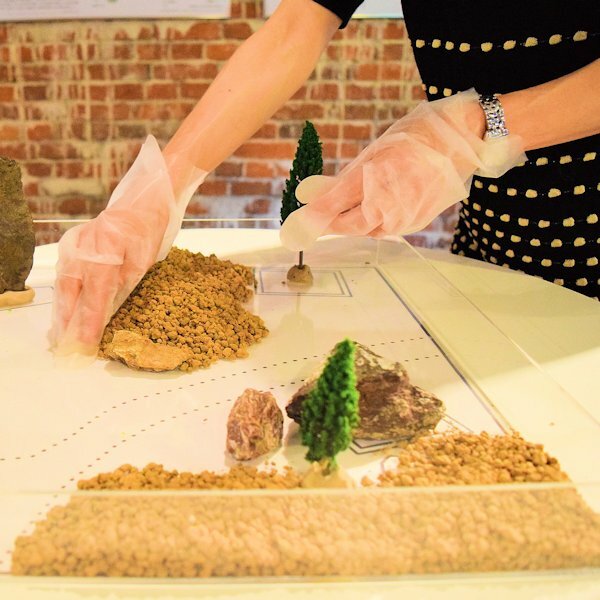 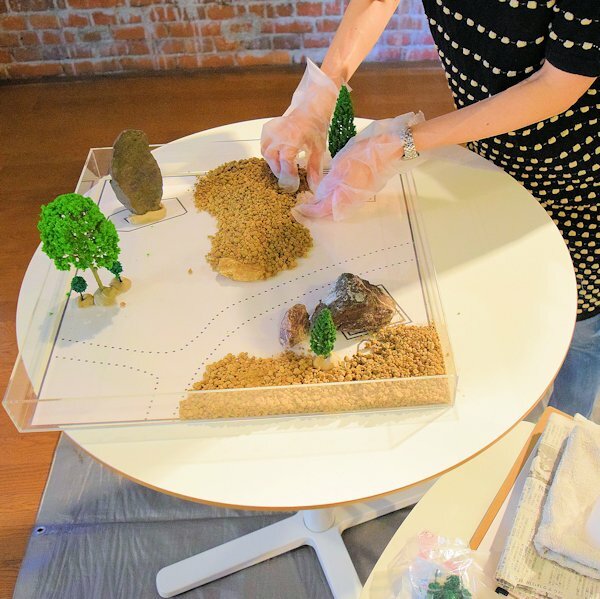 They then enjoyed making their own moss gardens in the Western-style building, discussing what sort of moss to use, and commenting how nice it would be to take their finished gardens home with them.